Marriage: Nora Laura MONEY  on 19 Sep 1883 in Colombo Ceylon. Julius. On the 19th inst, at Stanley Lodge, Mortlake, Surrey, the lady of Alfred Alexander Julius, Esq, of a son. Ref: London Evening Standard 25 November 1850. Villiers was baptised by his uncle Henry R Julius. Villiers was a Solicitor in practice with Julius & Creasy in Colombo Ceylon, he retired to England. The beginnings of the partnership go back to when E.D. Thomas joined Villiers Alexander Julius and attested their first Notarial Deed. E.D. 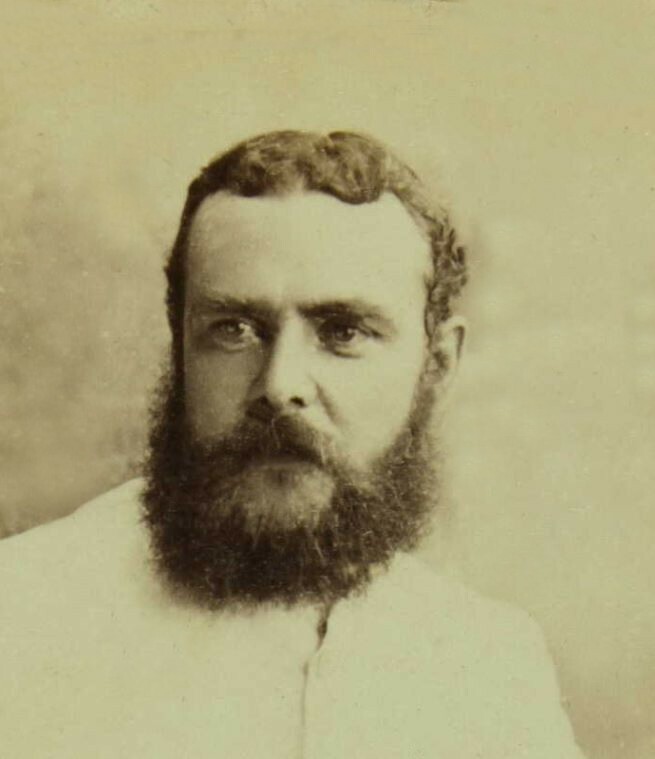 Thomas' partnership with Villers Julius was of a short duration as the former returned to England in poor health, his place was taken by Harry Creasy. Harry Creasy, was the son of Sir Edward Creasy, one time Chief Justice of Ceylon, his name is synonymous with the Colombo Rowing Club. Villiers Julius too was a powerful oarsman and the President of the Rowing Club. He was the then Senior Partner of the firm and along with Harry Creasy, worked long and hard hours. Their reputation for honesty, integrity, industry and precision grew to such an extent that they were universally respected and benefactors to Colombo society at the time. Sydney Julius, Villiers nephew succeeded the founding partners. Twentieth Century Impressions of Ceylon. Colombo Rowing Club Pg 265. Article by Villiers on the history and achievements of the club. An article on fauna in Ceylon Pg 157. The Colombo Football Club was rescued from extinction by Villiers. Julius Jottings January 1900. No 1. Mr Villiers Julius is returning to Ceylon after a short visit to this country. Villiers sailed 16 Mar 1922 from Southampton to Las Palmas, on board the Orania. His address is recorded as Bishopston, Sutherland Ave, Bexhill-on-Sea. Probate: Julius, Villiers Alexander 41 Wickham-Avenue Bexhill-on-Sea Sussex died 5 January 1930. Probate 6 March to Ernest Reed Williams and Harry Joseph Charles Solicitors Effects. L12442 16s 9d Resworn L12602 8s 9d. Image of Villiers as a younger man courtesy of J L Herasimenko 2018.